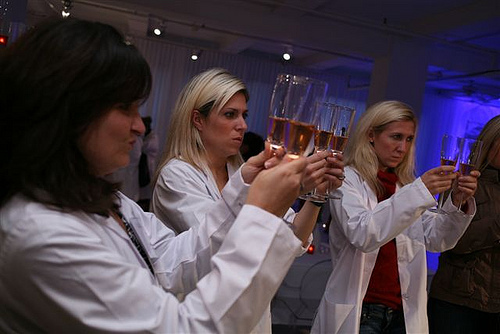 It was an evening of bubbles for several bloggers from around the country thanks to Wisk HE detergent. I do not own a High Efficiency (HE) Washing Machine, so I never did my research on products that carry the “HE” tag. Little did I know that you can actually use HE detergent with your regular machine! One of the many things I learned this week. I hate to burst your bubble, but suds do not mean cleaner clothes. In fact, too many bubbles, or oversudsing, can actually keep your clothes from getting clean. Myth #2: It’s okay to use a regular laundry detergent in my HE machine. Busted! 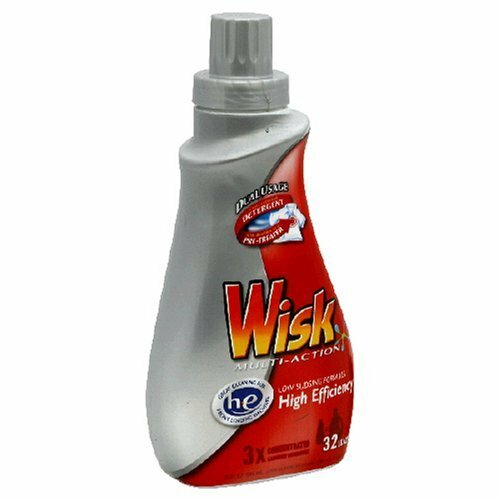 Anyone with an HE washing machine should take care to always use an HE detergent like Wisk® High Efficiency. HE washers use 20% to 66% less water and 50% to 80% less energy than traditional agitator washers. With less water, fewer suds are desirable to effectively clean and rinse your clothes. And bonus – HE detergent can also be used in a regular machine! Au contraire! Mold and mildew can occur on any HE machine, but it is exacerbated by using too much detergent and even more so by non-HE detergent. And by the way, using a lesser amount of a regular detergent will not alleviate the sudsing problem. HE detergents are formulated to clean your laundry effectively in low-water conditions. Check your manufacturer’s warranty; some manufacturers consider warranties on the HE washers null and void if non-HE detergent is used. Myth #4: I’ve heard that HE detergents don’t clean as well as regular detergents. I’m a laundry expert (and a scientist to boot) and I’m here to tell you that HE detergents like Wisk® HE clean as well as any regular detergent. HE detergent is specifically formulated to create fewer suds than regular detergent. Unlike traditional top-loading washers, front-loading washers use a tumble system versus a central agitator. This tumbling action creates more suds than a typical wash cycle in a traditional top-loader, so that’s why it’s so important that you use a low-sudsing detergent. That little bottle in the picture above can actually handle 32 loads of laundry as it is triple concentrated. I still need to get used to using concentrated products, but I am so happy we are all going that way in the consumers industry. The less we need to use – the smaller the packaging becomes – the better it all is for the environment. The detergent is also perfect for handwashables, for use with bleach, and septic tanks. I personally had the opportunity to try out the product and I can tell you it really does work. The green cloth that you see is one big grass stain (trust me – I smelt it). We had to use both regular Wisk and Wisk HE (with noticeably LESS bubbles) and both combated the stain perfectly. My friend Tara was filming me when I was watching the bubbles vanished and she thought I was joking when I said WOW … I actually WASN’T. It was so surprising to see all the bubbles disappear. The long short of it is that I am sold. If you have a HE machine, you actually MUST use HE detergent, so why not use something that you know will take care of those unwanted stains? And for all of you readers that are into contests, Wisk HE is giving away a LOAD of goodies over on their site. Click here to check it out.